Contractors and Subcontractors beware of shopping center, retail and out parcel projects. 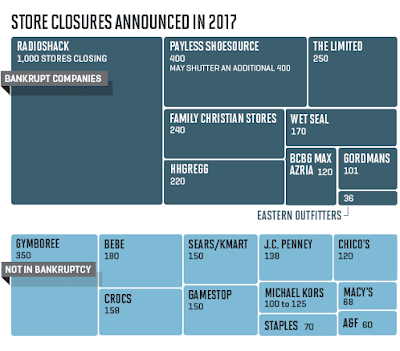 Big box and specialty retailer store closures may impact collectability for ongoing projects. This article is the ninth in a ten-part series analyzing the top ten critical construction clauses. In this installment, we analyze the “payment terms” provision, which encompasses a discussion on retainage and final payment. This article will focus primarily on the updated American Institute of Architects’ Agreement between the Owner and Contractor (AIA Document A101-2017) as well as Florida case law. This is the eighth installment in a ten-part series analyzing critical construction clauses.This installment analyzes the “Incorporation by Reference” provision. The first seven articles can be found on our blog at http://sotolawgroup.blogspot.com/. The incorporation by reference clause, sometimes called a flow-down or pour-over clause is the basis by which parties to a contract include upstream contract requirements without specifically attaching them. Typically, this occurs between the contactor and subcontractors. Below is the pertinent section of the incorporation clause taken from AIA form A401. This is the seventh installment in a ten-part series analyzing critical construction clauses. This installment analyzes the “No Damage for Delay” provision. My first six articles can be found on our blog at http://sotolawgroup.blogspot.com/. Most construction contractors and subcontractors assume that if they encounter a delay on the project that is not attributable to them, for example, changes in the sequencing of the work ordered by the project owner, discovery of hazardous materials or unknown conditions at the project, or adverse governmental actions, that they would entitled for reimbursement for damages caused by those delays. Such damages could include unabsorbed home office overhead, remobilization/acceleration costs, or increased materials costs.